My omniview is the actual omniview xl/xe os chip that was sold by CDY it has been piggybacked with the XE OS as a switchable homebrew. It would run the original disk but will not run the ATR. Edited by hueyjones70, Sun May 27, 2018 7:15 PM. Here is a dump of AtariWriter Plus modified for the Omniview. Would someone mind testing this on a real Atari? This is awesome! 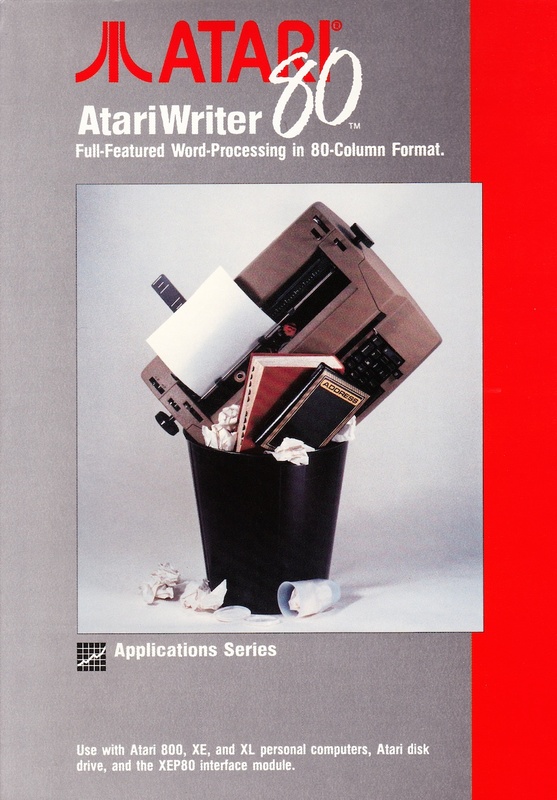 I always wished that Atariwriter plus could utilize 80 columns. I tried it on Altirra and could only get it to work right if it was a 130XE with Omniview. I get the Omniview for the 80 columns, but is there anyway it could be modified to work on a 64K machine (i.e. 1200XL)? Again, an amazing achievement. I frequent AA a lot in the hope of finding a real gem like this pop up. This is really fantastic! 37 years rolling and there is still new stuff to look forward to, Bravo! Edited by Gunstar, Mon May 28, 2018 11:41 AM. I can't see the 80 column patched AtariWriter being easily further hacked into working on a 64K machine. The 80 column display requires a frame buffer of almost 8KB, which is farmed out to one of the extended RAM banks (by virtue of ANTIC extended mode). The alternative is finding 8KB of free RAM in main memory which doesn't impinge on AtariWriter's own code and buffers. That's one of the nice things about ANTIC RAM access, despite the fact Atari's implementation did not foresee (or perhaps disregarded) RAMdisks and other mundane uses of extended memory which cause any display in extended memory to momentarily collapse every time the CPU accesses a different bank. Has anyone made the ATR work on an actual Atari? I can't get it to load on my 130XE with Omniview. Yep: me in post 42. I used the ATR posted here with a Googled OmniView XE ROM. There's always the option of getting an XEP80 80-column interface and a copy of Atariwriter 80, which IS Atariwriter+ in 80 columns. The XEP80 was made to hook up to any Atari 8-bit through the joystick port. You even get a parallel printer port to boot! I would have gone this route myself, if I didn't have a fantastic video upgrade for my 1200XL and FJC's TLWP. Edited by Gunstar, Thu May 31, 2018 10:10 AM. What is a Googled Omniview XE ROM? 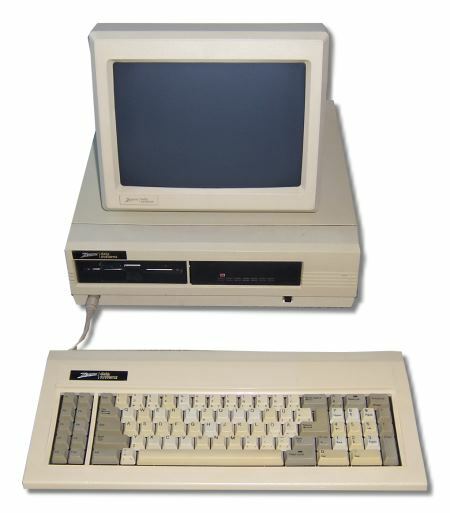 Heh, Always wanted an XEP80 back in the day to do BBS'ing with BobTerm in 80 columns. I was watching eBay for the last year for an XEP80... Then a few months ago I contacted Best for the first time and they still have them NIB. So I still have it here shrinkwrapped. So strange to get this 'rare' thing new, I think i feel obligated to do an 'unboxing' video on youtube when I do!! Atari must have produced an awful lot of XEP80's. About 10 years ago those things seem to come out of the walls as they popped up everywhere in Europe. A big Atari club, literally, gave them away, all NIB. Too bad there isn't much supporting software for it. It may be a bit slow but it's a nice device nevertheless. On an 800 you can even connect up to four of those and I think that a simple wire-swap enables the use of 4 of those per port. Nice, in theory, but no idea what to do with 17 displays. It only took me about 17 years to finally get around to trying my XEP80! Nice crisp 80 column display for composite, but pretty much useless on modern monitors....I lose 3-4 lines that are completely or partially beyond the visible screen. I'll have to fire it up with one of my old monitors with vertical size adjustment one of these days. Hopefully that won't take another 17 years....lol. Hueyjones - yes it works on my 600xl + Antonia using an OmniviewXE rom. Edited by JR>, Thu May 31, 2018 12:23 PM. I can't even get full output on properly calibrated PVMs. The overscan is SO far out of spec. I have never seen a display that can show all 25 text lines, even those with v-size adjustment. I didn't realize the XEP80 had overscan issues. Not that it matters to me personally, between SpartaDOS X 80 column mode and Omniview 80 OS with my 32-in-1 and 80 column The Last Word Processor I've no use for the XEP80 because these software 80-column alternatives are crystal clear with my video mod, on either my Commodore 1084s monitor or with my S-video-to-VGA converter for my LCD screens. I have 80 columns for DOS, BASIC or other language on cart, and the best word processor for the Atari between these 80-column options. The only thing I don't have is 80-columns for Syncalc and Synfile, but at least they scroll. I'd like to see patches for the Syn-series apps with Omniview. 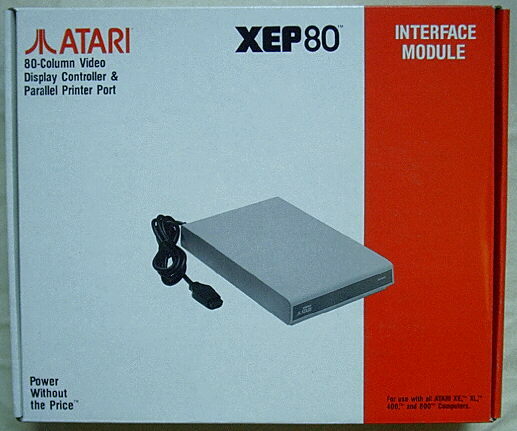 Is there other software besides Atariwriter 80 that works with the XEP80? What about while using a DOS or language like BASIC? Can the XEP80 be used for 80 columns for them? Edited by Gunstar, Thu May 31, 2018 2:26 PM. Basically anything which writes to the screen via the E: handler can have its display redirected to the XEP80, so: BASIC, DOS, etc. Programs which write directly to the screen RAM won't work without actual patching of the executables. So basically the same as Omniview 80, but real hardware 80 column. A monitor that came with my grandparents C64 can display all of the XEP-80 display. I know nothing about the monitor, and I don’t have he space to keep it set up. There's some stuff on my Special Stuff Page about the XEP80 you might not know about. Some of it tells you why the XEP80 seems to be slow. Interesting reading about it there! I never knew a modified driver was made to work at 9600 instead of 4800. Although it looks like it's for 50hz machines only. Have you read Erhard's articles on that page? Shouldn't be too hard to edit the code. Edited by Nezgar, Fri Jun 1, 2018 3:23 PM. I have a feeling that my problem may be caused by my disk drive emulator. I am using a Sdrive ARM and somehow I don't think it can handle Double Density or I don't know how to make it handle DD. I'm honoured that you think I'm smarter than I really am. Don't mix up ignorance with a lack of intelligence, too many do and it's a world of difference. I've been rated a genius level intelligence every time I've taken any I.Q. test (low to moderate on the genius scale, so no, I'm not a Hawking. 150 was my highest score, 138 the lowest), and I've taken about half a dozen in my life, but I'm ignorant of a LOT of things...like programming. The difference is lack of learning, not intelligence. Edited by Gunstar, Fri Jun 1, 2018 3:43 PM. Exactly how ACE80 works. It also redirects the S: handler.